Happy, Happy, HAPPY Thanksgiving everyone!!!! A little belated in America and even more so in Canada, but I hope you had (or have) the most wonderful time counting all your blessings with friends and family nearby, whenever that time comes for you! And I hope you REJOICE as we get to celebrate the wonder of the Christmas season ahead and prepare for a happy New Year!!! Even though I’m the only one pictured there were LOTS of hands helping with this dinner – especially my cousin Joni, who REALLY made it happen!!! My 14 year old daughter was disgusted and shocked by an advertisement put out this Thanksgiving. The store ad boisterously shouted out, “Don’t celebrate Thanksgiving, celebrate Thanks-getting! !” (thinking they were ever so clever). It’s been a hurtful thing for us to see shopping creeping into a day consecrated by our fore-bearers, our nation, to giving thanks and recognizing the many blessings we have received in our lives, recognizing the hand of our Almighty Maker in sustaining us, remembering that He sustained and preserved and prospered them which gave us a better life today. Our family, for one, will continue to celebrate Thanksgiving by gathering together to give THANKS, and forget about getting until another day. To share our Thanksgiving weekend, I’m simply posting the letters my husband and I wrote to our girls serving missions in CA and OR right now. We all had a wonderful weekend together in heart and Thanks-giving! 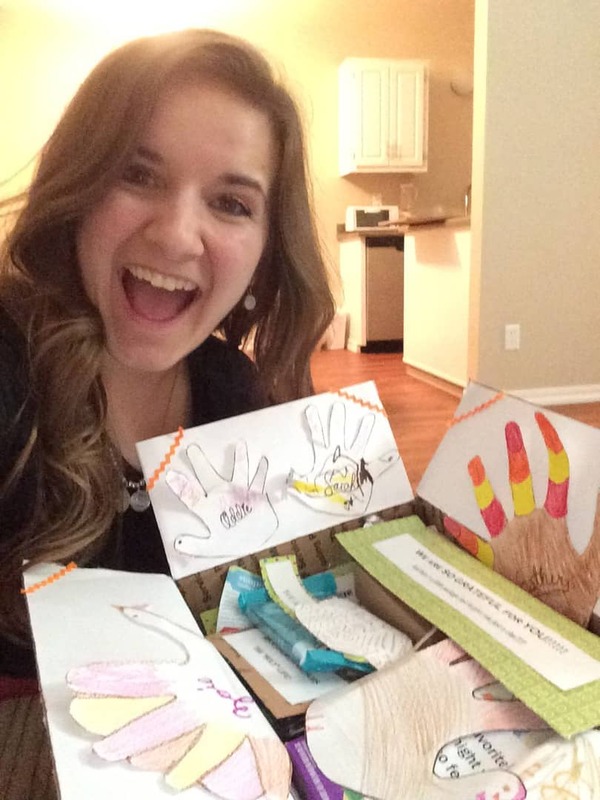 Anna receiving the Thanksgiving package we sent her way! Addie and Sarah are getting to be pros with decorating – Sarah hung a LOT of ornaments while Addie danced around with a piece of ribbon garland and tied herself up and the chair up, etc.. with it. We’ve read Corduroy’s Christmas and Room for a Little One several times today :). Clara’s been DELIGHTED to find memory ornaments with pictures and names on them including hers from last year and Isaac’s bell to ‘believe’ from Santa many years ago :). Zoie’s been doing cheers and we’ve all been busting spontaneous moves to the Christmas music – just HAVE to DANCE at a time like this you know! 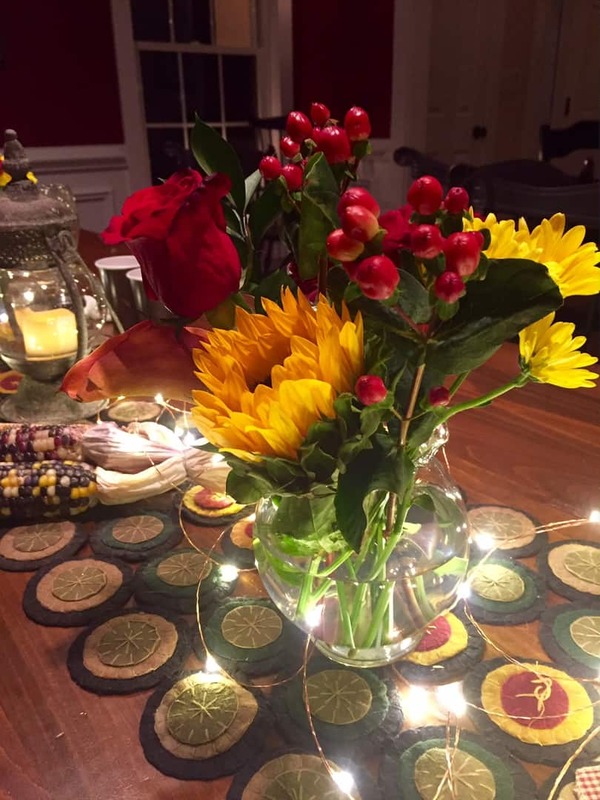 Thanksgiving was wonderful and we can’t WAIT to hear about yours!!! The best part for me was having ISAAC here!! !- just for 2 days but we decided after 2 years he needed to be home for Thanksgiving!!!! AND the tickets worked out GREAT!!! We picked him up Wednesday night! As we drove to the airport we saw his plane above us (looking like a UFO) and then circling and then landing! 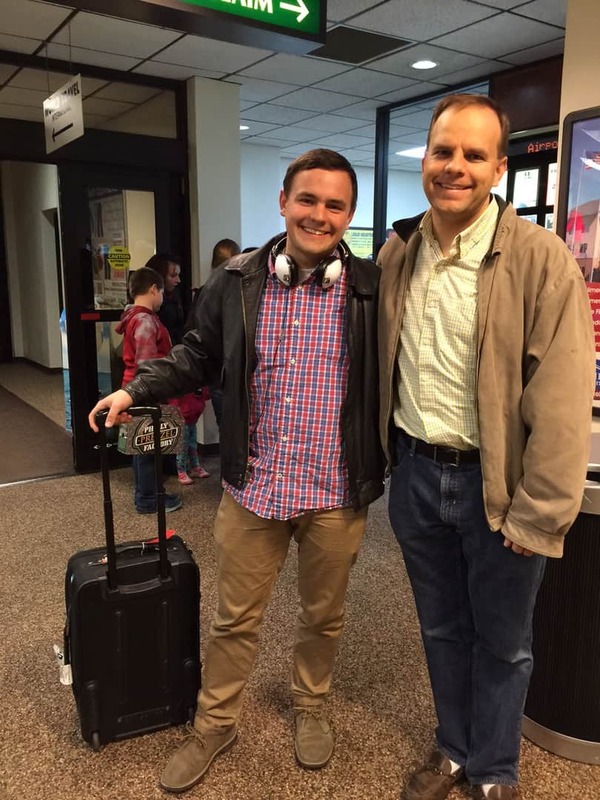 We were worried we wouldn’t get there before he got off the plane – and how would THAT feel after getting home from a mission and having a big party to greet you and then coming home 3 months later to NoONE there to meet you?! 🙂 hee hee, we HURRIED along! I realized then that Mikela and Dad had made it into the airport. We hugged and laughed and took a quick pic of Isaac and Dad and then walked the 20 feet out of the airport and SURPRISE!- our two cars were still parked right at the curb, so we all jumped in and took off to TGI Fridays for a late dinner together for Isaac and all these hungry people. I was giggling inside on the way out with HAPPINESS! Where else in all the world now can you just drive up to the airport, run in, welcome your loved one home and run out again, cars waiting for you just outside the door? Life is really good like that. Joni, from DC, just kept gasping in stunned disbelief, “What is going on? ?” Hahaha. Awesome. We had a BEAUTIFUL, WONDERFUL, WARM THANKSGIVING together!!!!! I was even moved to tears as we sat, so many, around the Thanksgiving table and let each one share what they were most grateful for this season. So, so, soooo Grateful. And then of course, we played games (“trains” most), and watched movies (“The Cokeville Miracle” was the highlight), and shopped a bit (at least Joni and I did! ), and went and chose our tree on a Christmas tree farm together – WONDERFUL!!! I will send pics when I can find my phone :). But right now I send ALL MY LOVE!!!!!!!!!! You are IN OUR HEARTS and IN OUR PRAYERS, and we talk of you and think of you so very much. Thank you for your LOVE and SERVICE to the Lord and His children!- it blesses us too. I LOVE thanksgiving!!! What a blessed time of year! Such a great opportunity to pause and reflect on the many blessings we have received in our lives.It was so great to have Isaac home with us for a couple of days- his first thanksgiving in 3 years! It was also great to have mom and dad Hoffman with us. Her knee is recovering very well and they are flying back to utah this Wednesday. Grandpa and Grandma heading back home after an incredibly awesome 6 weeks together! We also had our cousins Joni and Kasey and Benita with us. Started to day off with our traditional 35th annual ward turkey bowl. That left us all pretty sore for a few days, but no injuries. We had a great time! Tradition!!! The Thanksgiving morning turkey bowl! Those babies are just a mile a minute- so adorable!! 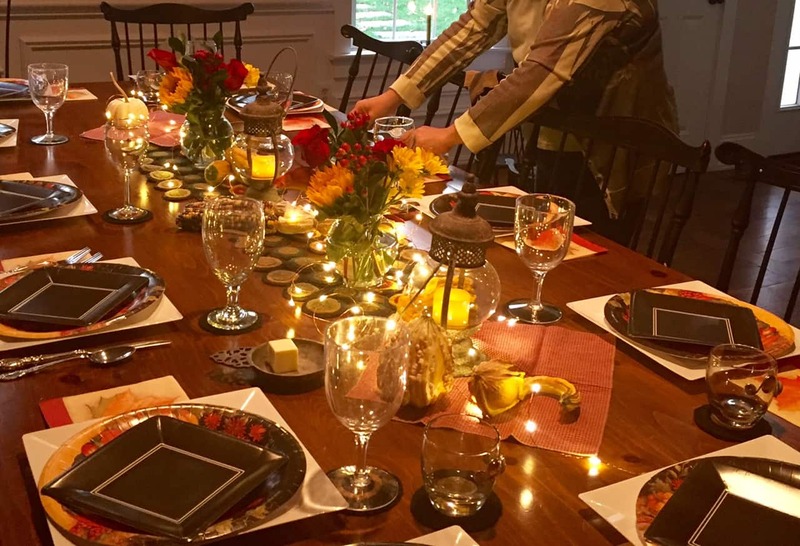 We did our traditional around the table, “I’m thankful for”…. We know and care for a family in the sunbury ward whose house burned down several months ago. They are all ok, but they lost everything. We made them some of the those fuzzy quilts with Grandma- so fun! Grandma’s tradition! 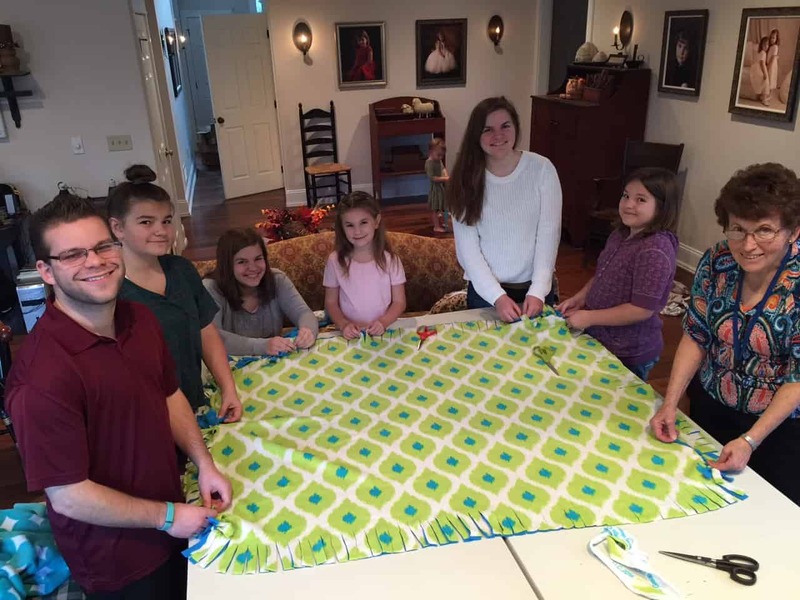 Making blankets! Loved it and Zoie Grace just kept going and going, made several! I took isaac back to the airport early Saturday morning. So glad he will be back in just 3 short weeks! So grateful for that! He is such an awesome son. He’s doing great at BYU. Now he just has to find his awesome wife! I remember how much I loved Thanksgiving and Christmas in the mission field. The first year I was in Bakersfield. 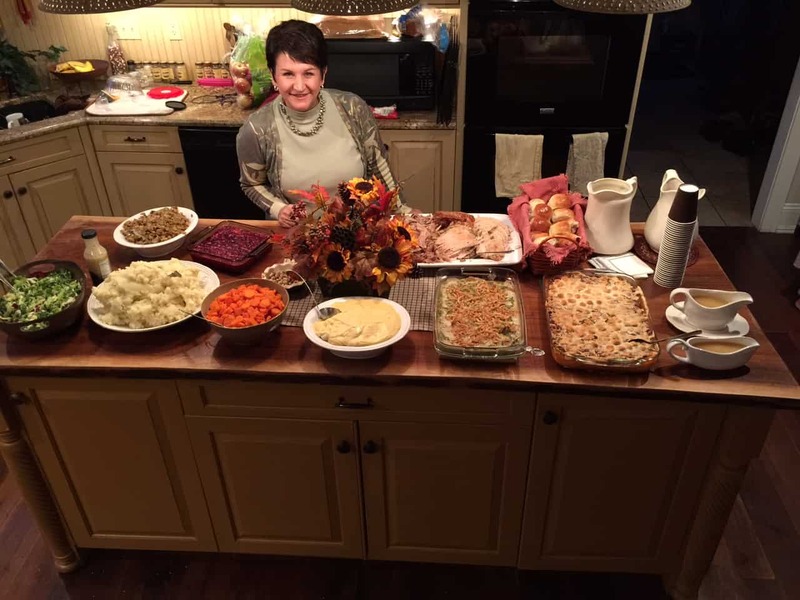 We had some very rich members that invited us to several thanksgiving meals that were amazing. The next year I was in a new area in canoga park. We were in a small Spanish branch- they don’t really celebrate thanksgiving, so my companion and I ate macaroni and cheese in our apartment on thanksgiving. We didn’t even care. We were so happy and engaged in the work. For Christmas we had a ton of fun as missionaries giving secret Santa gifts to needy investigator or less active member families. I also had a beautiful white Christmas my first year in the mission field. I had the opportunity of baptizing Dora Gomez on my birthday. She was this awesome lady from Guatemala that lived in the tiniest little house with her son. They didn’t even have an bathroom in their house– they shared a “bath house” with about ten tiny houses. She was so humble and loved the gospel. It was the best kind of white Christmas ever. I love you both so much! I am so proud of the way you are serving our savior Jesus Christ and blessing the lives of so many. It is the greatest work in the world! I pray that our family can open our mouths and share the good news with EVERYONE!!! Pray for you daily and Love you so much! Adelynn snuck into Grandpa and Grandma’s room and enjoyed some private time with them on a few different occasions. Is there anything better then meandering over a pine-needle carpet to look for a Christmas tree together? My cousin Joni joined us with her absolutely perfect-for-the-occasion-crocheted-herself hat! Life can be soo charming :). Adelynn rushed up to be Joni’s buddy and walk hand in hand, Sarah is being carried by Mikela. Sarah watching Joni stir our all-time favorite creation of hers, bread pudding! Adelynn took the peeling carrots job ever so seriously and got them as good as Mom by the end! What’s more snuggly than Missy’s adorable puppy Bear cuddling up to these two baby girls? AMAZED by the gracious, self-sacrificing love of friends that make these cookies traditionally and deliver to so many!!! FAVORITES!! Thankful for this girl in CA!! My cousin Joni won these two over!! Adelynn helping to prepare Thanksgiving dinner :). A great Thanksgiving Weekend! All tuckered out. I love reading your family adventures! Sounds like a great time! We do not celebrate Thanksgiving in Italy but as a family we try to have a “thank you moment” every night before going to bed to remember all the good things we had during the day! We have so much to be grateful for!!! 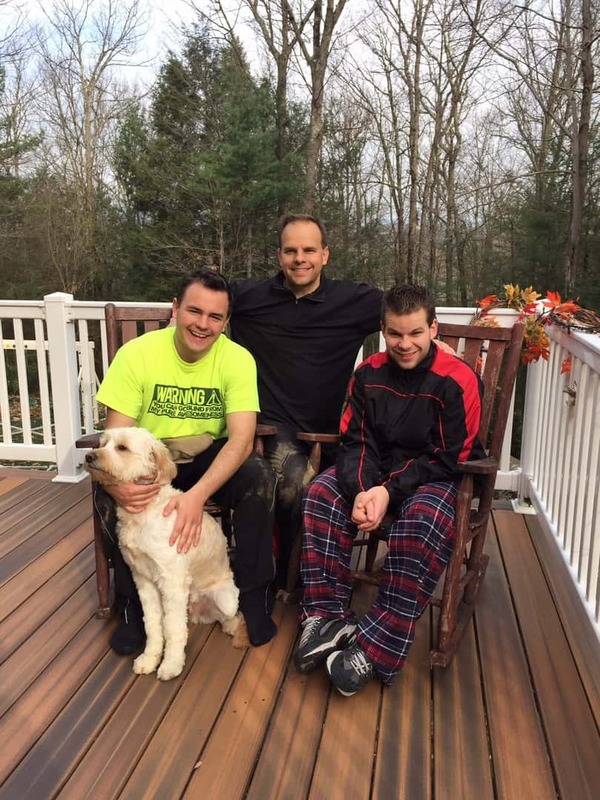 Thanks for sharing such a great post! So thankful to know your family! 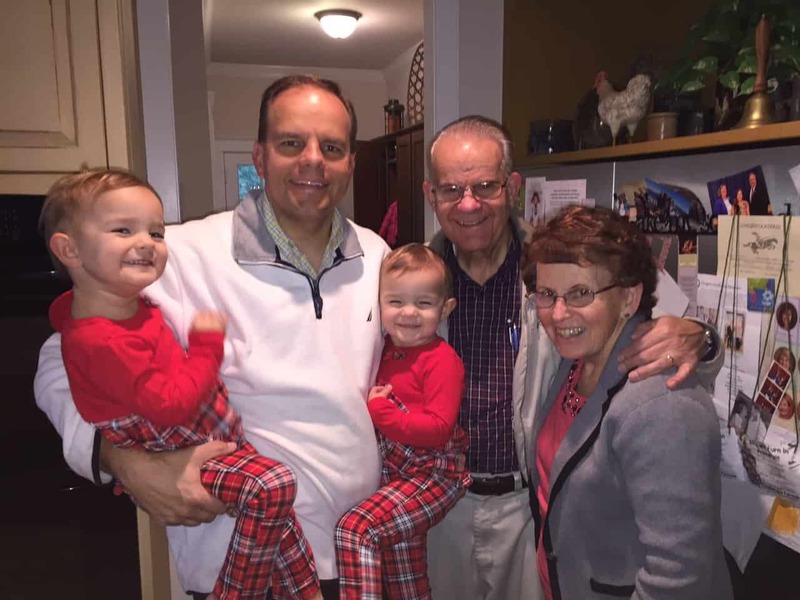 As we are empty nesters and celebrate our grands – we love watching your kiddos every Sunday! Thanks for sharing! Danielle, that is a BIG achievement! The day you cook better than your mom! lol! Wonderful for you and your daughter! Merry Christmas! !